KHSU’s Morning Host Natalya Estrada submitted her resignation to the university today, leaving the public radio station without a single employee just two days after the administration announced an across-the-board “reorganizing” that included laying off most of the staff and “indefinitely suspending” community-based programming. 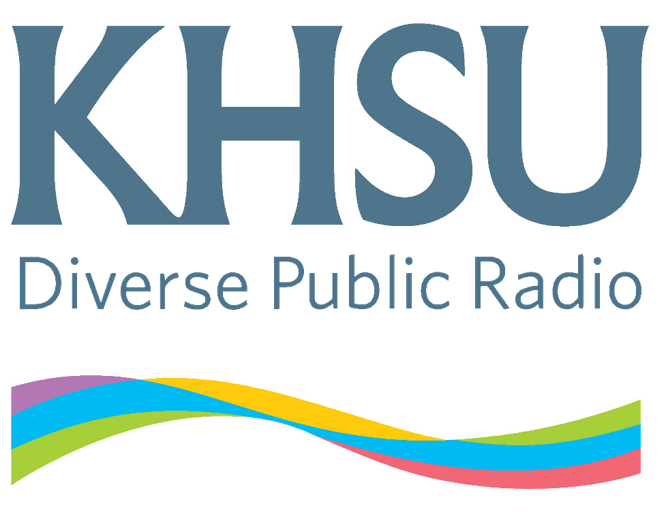 Her departure follows that of David Reed — Humboldt State’s appointed choice to take over KHSU — who stepped down Friday, saying he declined the interim post and had not been consulted before the university sent out an announcement outlining changes at the station. Read previous Journal coverage here and here. Since Friday, KHSU’s listeners have mainly tuned in to find national programming in stark contrast to the previous emphasis on local shows, many done by volunteers, with Estrada’s morning edition being one of the last left standing. I came to KHSU in 2017, under the guise of needing to make a bit extra cash because I was paying double rent—my boyfriend at the time was helpful, but I still had two months left on my apartment lease. On the day of the interview, I had literally been under a fence. A large possibly, 300-pound wooden fence had fallen off of the rail on top of me as I was opening it so I could move my car out of the drive way. Was it a premonition? Was it a bad omen? I don’t know—one thing’s for sure, it made for a great interview topic. There were leaves in my hair, my red jacket had fresh mud stains and my legs were slightly swollen as I sat in the general manager’s office telling KHSU how much I love public radio. I got the job on the spot. good words and good people? Those were some of the last messages David and I sent to each other before the following day, when I was informed via phone call about his resignation. A couple minutes later, after texting Thad Greenson, Marc Valles and Andrew Goff, I read David’s Facebook post. I cried hysterically as I toggled between Morning Edition and the California Report. I switched on the mic and read the weather report: mostly cloudy and chances of rain — the weather has never represented me so well. Megan Bender, of The Lumberjack, messaged me. Not about work, but about emotional support. At noon, on Friday, we met in Gist Hall to talk. She handed me an iced matcha latte and a breakfast sandwich. Damien Jimenez, a KHSU intern, waved me down as I was driving and gave me a hug through my car window — I asked him to pretend he doesn’t notice how messy my car is. LJ reporter Freddie Brewster shook my hand and smiled warmly at me — it’s reassuring to know the future of journalism has compassion. Editor's note: This story has been updated to reflect the correct date of HSU's announcement of changes at KHSU.